Jon Fitch has been a fixture on UFC events for the last six years, and has fought in many high profile fights. That is why MMA fans were stunned recently when Fitch cried poverty. Yet a closer look at his situation shows a fighter that has nobody to blame but himself for his dire financial situation. I have been reading quite a bit lately about how Jon Fitch is broke, behind on his mortgage payments, and crying foul when it comes to his position in the UFC. Fitch believes he deserves better and after six years in the UFC is frustrated with both his financial position and position within the company. Jon Fitch seems like a nice guy but anyone who has followed Fitch will have a hard time feeling sorry for the falling fighter. 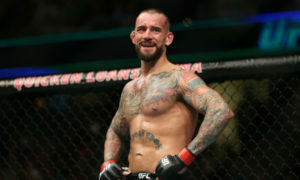 Fitch recently revealed his economic woes to MMAJunkie.com. Fitch said he’s “very careful with my money,” but he also has the strain of two mortgages. He bought a condo before the real-estate market got real bad, and the property is steadily losing value, and he also bought a larger house for his family after he got married. Fitch is coming off of a bad loss to Johnny Hendricks, a fight which Fitch now says he had no right to take. According to Fitch he only took the fight because he needed the money. Fitch even went further in an interview where he opened up about his frustrations with pay in the UFC. According to Fitch, he is not paid nearly as handsomely as he believes MMA fans think he gets paid. “We don’t make millions of dollars as it is, but if you’re not fighting, you’re not getting paid, so things have been a little bit rough in the bank account … It can go away in a flash. We get paid okay money. It’s not great money. We’re not making NFL or NBA money; we’re making okay money. But if you’re not fighting, you don’t get paid. So that okay money is gone and now you have (expletive) money“. It only gets worse for the captain of the AKA team. 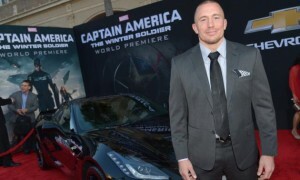 Fitch says if not for his sponsors, the elite UFC fighter would have to take another job. Now before you go on the attack and throw bombs at the UFC for underpaying their fighters, you really need to take a deep look at Jon Fitch’s situation. I feel empathy for almost anyone that is struggling with family, but Jon Fitch unfortunately is not one of them. For starters, Fitch is complaining about two mortgages. Call me crazy and this may be totally out to left field here, but sell one of your homes! Sure his condo is taking a loss but wouldn’t it be better to get out completely as opposed to hanging on to this mortgage that is dragging you down? He is also living in California, a very expensive place to live. Jon Fitch fights all over the world. Move! Complaining about your two mortgages in one of the most expensive places to live in the United States is nothing I have a lot of empathy for. Two, how underpaid is Jon Fitch? The beauty of Jon Fitch is that his salary is made public. Let’s take a look at Fitch’s pay for his last four fights. Fitch made $120,000 in 2011 with a win and a draw. Fitch made $162,000 for his UFC 117 win with bonus. Fitch made $108,000 for his UFC 111 fight and that was with a win bonus. Those figures don’t even include sponsors and whatever kinds of bonuses he may or may not have received from the UFC after buyrates came in. Should anyone be sitting around and crying poverty to the MMA audience with those kinds of payouts? This is obviously a guy who is living well beyond his means who could live very comfortably within his means if he was to step back and get a little clarity on his situation. Fitch has also complained for years about not getting title shots with his record. What Fitch never mentions in any of these interviews is that he had plenty of opportunities to get those title shots. All he had to do was fight the number one contender, Josh Koscheck. Koscheck is Fitch’s training partner and the two refused to fight each other. Fitch even made a remark to Dana White when this was broached during a press conference that they would only fit in the gym to which White mocked him by saying that they would make no money that way. If Fitch fought Koscheck and won years ago, he would have had his second title shot, and most likely a high six-figure payoff in the process. Dana White gave him the option and he refused which is why more than anything when it comes to Fitch, I can’t feel sorry for him. Finally, Fitch fights a very boring style of fighting. I am not saying that is wrong because it did bring Fitch a lot of wins, but in turn he is not a sellable fighter. As a matter of a fact, fans turn away when they hear Fitch’s name. Maybe if Fitch changed up his style a bit and offered fans more exciting fights, he would find himself in a better place within the UFC, which in turn would make him a wealthier man. Dana White has flat out said that Fitch would receive title fights if he changed his style. At the end of the day while this is sport, it is also show business. It is time for Jon Fitch to look himself in the mirror and take some personal responsibility here. I don’t want to see anyone with a family go broke but in this case Jon Fitch created his own problems and Jon Fitch needs to accept responsibility for that.